This is the thirty ninth in a series of reviews of the best dive resort locations around the world. In this post, the focus is Madeira, Portugal. Background – The Madeira Islands, an Autonomous Region of Portugal, are situated 864 kilometers (540 miles) southwest of Lisbon, 400 kilometers (250 miles) north of the Canary Islands and 864 kilometers (540 miles) due west of Morocco. 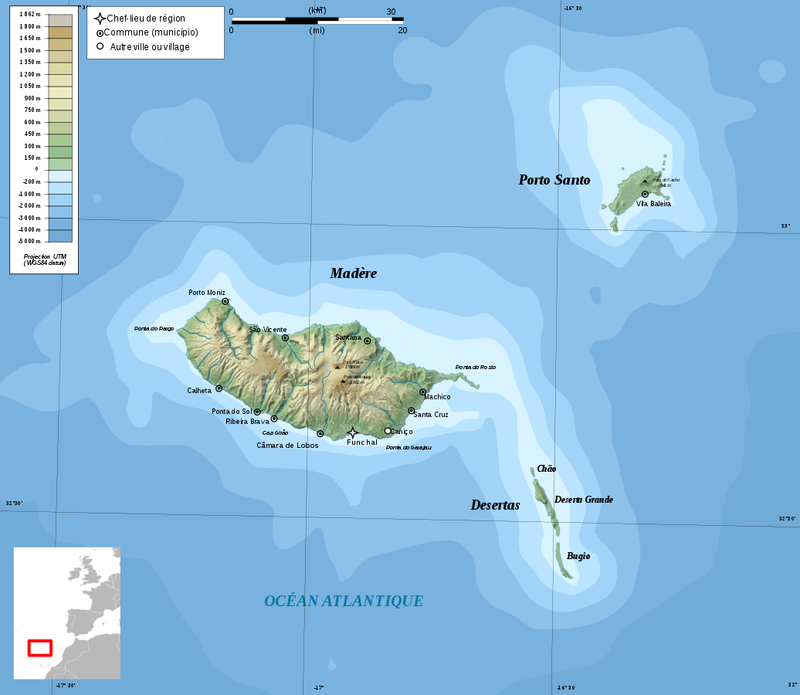 They are small islands with Madeira only 57 kilometers (35 miles) long and 23 kilometers (14 miles) wide. The archipelago is of volcanic origin and includes Porto Santo to the northeast and the Desertas Islands just to the southeast. The warm summers and mild winters, scenic hilly landscape, a unique culture, and geographic location have made it a prime tourist destination, which is the driver of the economy. With a population of 270,000 ethnic Portuguese citizens, Madeira welcomes more than 1.4 million tourists annually. It is a major cruise line stopover on trips from Europe to Africa and the Caribbean and has attractions which include Madeira wine, dining specialties, unique embroidery style, historical sites, interesting flora and fauna, and it is a UNESCO World Heritage Site. In an effort to attract foreign industries, Madeira has become a Free Trade Zone with incentives and reduced business taxes. The capital, Funchal, on the south coast, is a modern city. Porto Santo Island is also populated and has a highly developed community and infrastructure, as well. Undersea World – Due to its position in the Atlantic, the Madeira Islands are bathed by the Gulf Stream and Canary Current bringing more of a tropical influence to the wildlife than one might expect at this latitude. The volcanic origin has left an underwater terrain with a panorama of rocks, canyons, walls, crevices, caverns and a multitude of nooks and crannies to harbor a large variety of plants, corals, sponges and other invertebrates, fish and mammals. Macro photographers can delight in a long list of critters including cleaner shrimp, scorpionfish, spiny fan mussels, spiny starfish, purple seastars, warty umbrella snails, nudibranchs, cotton spinners, fireworms, anemones, frogfish, seahorses, blennies, octopus, several species of moray eel, and many others. Sandy areas may harbor garden eels, and massive stingrays. Other attractions of note are Turkish wrasses, huge friendly groupers, cuttlefish, red hogfish, sharpnose puffers, trumpetfish, triggerfish, turtles, manta, eagle and butterfly rays and big schools of many species including jacks and barracuda. Several sites are commonly frequented by monk seals and dolphins. In fact, 4 varieties of dolphins and 5 species of whale all have the possibility of being sighted. In addition, there are several intact large wrecks at 30 meters (100 feet) or shallower. Seasons and Conditions – Diving is good year round, but there are seasonal temperature variations. The coolest months are January and February with an average high of 19.7 °C (67.5°F). The warmest months of August and September have average highs of 26.4 °C (79.5°F). Water temperatures average 24°C (75°F) in summer and 18°C (64°F) in winter. 3 to 5 mm wetsuits are appropriate for most divers. From October to March is the wet season with 9-12 days of the month having rain. Usually the surface is smooth and there is minimal current. The visibility runs from 10-30 meters (35-100 feet). Sites and conditions are available to suit all levels of diver. Dive courses from introductory to technical are available at the many dive shops on Madeira Island and the several on Porto Santo. Madeira is not an area renowned for liveaboard diving, but there are many cruises in other not too distant areas and around the world. Click here to book a liveaboard holiday. Cristiano Ronaldo Airport on Madeira Island has daily flights to Lisbon and service to over 30 other airports in Europe and nearby islands. Porto Santo Airport has flights to Madeira and other nearby islands, as well. Ferries also serve the two main islands. Funchal has a bus system with regular services to all areas of the island. Taxis are numerous and car rental is also popular. With such a rich cultural, historical and natural environment there are heaps of things to do when you are not diving. Here are some possibilities: beaches, whale watching, cruises, waterfalls, Laurel Forest, rain forest hikes, Cabo Girao, many museums, historical sites, churches, scenic views, caves, botanical gardens, shops, restaurants featuring Madeiran cuisine, winery tours, mountain tramways, day trips, ATV off roading, mountain biking, local traditional music, nightlife. Check out a sampling in the video below. Amazing article about the scuba diving around Madeira Island. From your post, I am sure it’s a nice place for a long vacation especially a sea lover. Thanks for sharing this with your readers. This is exactly what I like about articles like this one. It brings awareness of stuff I wouldn’t have found otherwise. I appreciate your kind comments. If you like to read about interesting new places, please check out the other resort and liveaboard locations I review on the site. There are about 80 so far and more coming every few days. Oooh, as soon as I see volcanic, that’s when my interest is peaked. I absolutely love diving in volcanic areas because they are so interesting and have such a unique landscape and variety of life. I usually tend to gravitate to these areas, and honestly Portugal has peaked my interest. I’m thinking this might be our next destination! Thanks. Good to see you again, Babsie. Thanks for your continued interest. If you get to Madeira, please get back in touch and tell me about the diving and any other highlights for you. I’ve been hearing about Madeira Island for years now, and I can assure I’m the most curious man on earth to behold the beauty there. On 2 occasions I’ve missed a planned vacation to Madeira, but on this year’s vacation, there is no way I’m missing that paradise. I’m going to bookmark this page, It will be of help in the nearest future. Thanks, Joe for this write-up. Thanks a lot for your kind comments. Please let me know how the vacation goes. Are you a scuba diver? If not, I suggest to stop by a dive shop there and check into it. I love scuba diving because it allows you a way to fully enjoy the gifts of nature. Madeira isn’t a spot I considered before, but the natural beauty is so great that I will have to think abbout going there when I get the chance. I like to visit places with a lot of history and culture when on vacation and this looks like a very rich place for that. Thanks a lot for the information. Good to see you again. 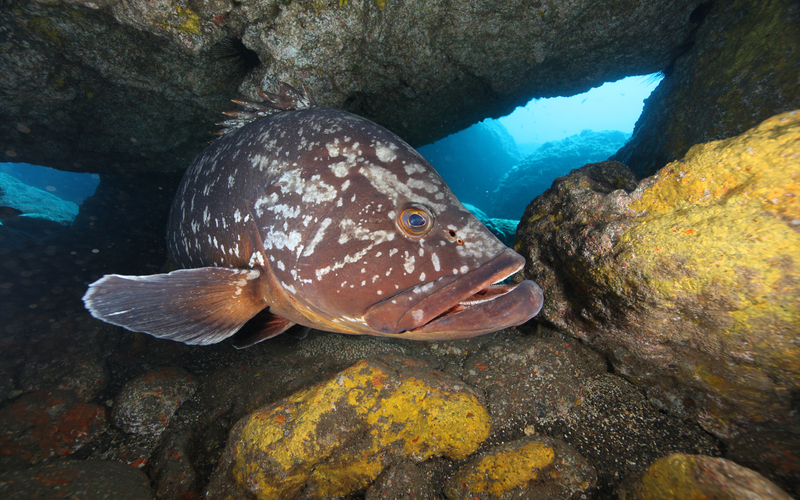 When you find the opportunity to go diving in Madeira, please let me know how it goes. Good luck and happy bubbles. Scuba diving is not a leisure activity that everyone can participate in. Though the Madeira Islands have great scuba diving, they also offer some perks to non-divers like me. For example, the scenery in Madeira is breathtaking, How wild that the airport is named after the football player, Cristiano Ronaldo. I would like to go to Madeira because it looks like a great vacation spot, but I think I may give a try to scuba diving while I am there. Thanks a lot for all the interesting information. I am glad you found my post on Madeira interesting. If you go there why don’t you stop by a dive shop and ask about doing an introductory dive or even the full open water course? The introduction takes a few hours and the full course 3-5 days. Thank you for sharing your interesting article ¨Best Madeira Islands Portugal Vacations Scuba Diving¨. I´d like your opinion on a dive a friend of mine highly recommended me. It´s Cemitério das Âncoras (Graveyard of Anchors), situated off the Ilhéo de Cima, a craggy islet five minutes by fast boat form Porto Santo Harbour. He warned me it´s for advanced divers (Padi Advanced Divers) on the account of the depth and the need for precise dive planning.Such is the abundance of sea urchins there that the ecosystem is out of kilter and marine biologist encourage divers to smash the shells of the spiny black predators and feed their contents to the fish. He tells me the main interest is geological. The natural beauty and topography of the landscape are reflected below the sea’s surface. Cemitério das Âncoras is a very intriguing site with 48 anchors at depths of 12-45 meters. If you plan on going for the deeper ones you had better be an advanced diver. The majority of the anchors are at around18 meters within the range of open water level divers. There is an interesting terrain of rocks and small walls and quite a few fish, with the occasional stingray. I am not aware of a large number of urchins. They would be most noticeable in the shallow water. Generally speaking, I would not advise killing wildlife, but I am aware of this practice regarding an overabundance of urchins. If you get a chance to go, please give me a little report.